This week has seen the first sacking of the season with Roman Abramovich parting ways with Roberto Di Matteo at Chelsea, just six months after winning the Champions League, keeping up with his tradition while at Stamford Bridge. This week’s stand out fixture involves Chelsea and their knew boss Rafa Benitez as champions Manchester City travel to London. The two sides are coming off the back of very different form. 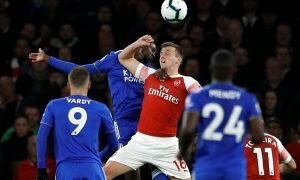 Aston Villa slipped into the bottom three after they suffered a heavy 5-0 defeat at the hands of Manchester City, while Arsenal will be flying high after beating local rivals Tottenham 5-2 and then qualifying for the last 16 in the Champions League. Norwich have hit a crucial run of good form, beating Manchester United 1-0 last week, extending their unbeaten run to five league games, winning three, while Everton’s run of form came to a crashing end with a 2-1 defeat against a struggling Reading. David Moyes will want to get back to winning ways and he will see it as a good opportunity if they can convert their chances, against the joint lowest scoring offense in the league. This is a game between the best attacking team in the league and the side at the bottom of the table; I think it will show in the performance and the result. United will have a point to prove after the shock defeat against Norwich, losing top spot to rivals Manchester City in the mean time and you know Sir Alex Ferguson will have his players raring to go after resting them in a mid week against Galartasaray. QPR are already looking adrift at the bottom and under fire boss Mark Hughes will be desperate to get a victory against his old manager, but I don’t think it will happen this weekend. Tony Pulis’ side is still unbeaten at the Britannia Stadium conceding one goal in the process, while Fulham have no problem scoring away from home, meaning there will be a great battle in front of the City box. Martin Jol will be without captain Brede Hangeland after being sent off in last weeks 3-1 defeat against Sunderland, which could be seen as a weakness with the ball swirling around in the windy conditions at the Britannia. West Brom are this season’s surprise package and I think they will keep their run going, even though they will be without keeper Ben Foster who has had a setback in his recovery after groin surgery. Expect a low scoring game here, with Sunderland being strong at the back but weak up front at the Stadium of light. Both teams will see this as an opportunity for moving away from the bottom three and Reading will be full of confidence after claiming their first victory of the season, but I still see a home win. 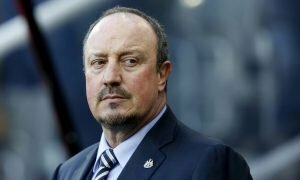 The game sees the return of Benitez to English football and he will be hoping for a honeymoon period to quieten the doubters. Both sides will be looking forward to getting back to the league schedule after disappointments in midweek. Rafa will be without captain John Terry, which is a huge weakness and I can see them conceding goals, but the champions aren’t as organised at the back as they would like to be, and I expect Edin Hazard and Oscar to exploit this. Southampton will be full of confidence after beating fellow strugglers QPR 3-1, but I think Newcastle will have too much firepower for their leaky defence, and they will be seeing it as a springboard back to the heights they achieved last season. It sees the return of Brendon Rodgers to the Liberty Stadium, with his team on a seven game unbeaten run, and I think it will continue. Luis Suarez will be a real handful as he leads the way as the leagues top scorer with 10. Spurs have lost their last four league games but the tide has got to turn and I think it will be here it happens; but they will have to do it with one up top with Emmanuel Adebayor suspended. West Ham showed against Stoke they lacked real fire power with Andy Carroll struggling to find the back of the net for the Hammers.